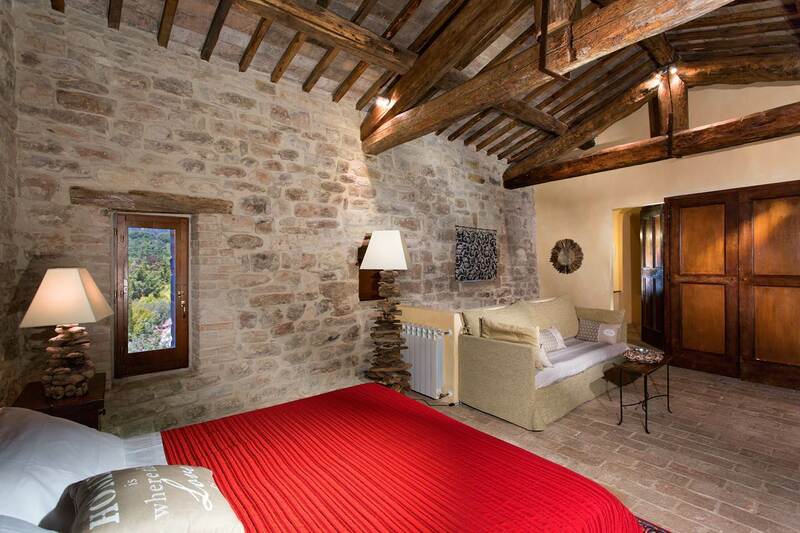 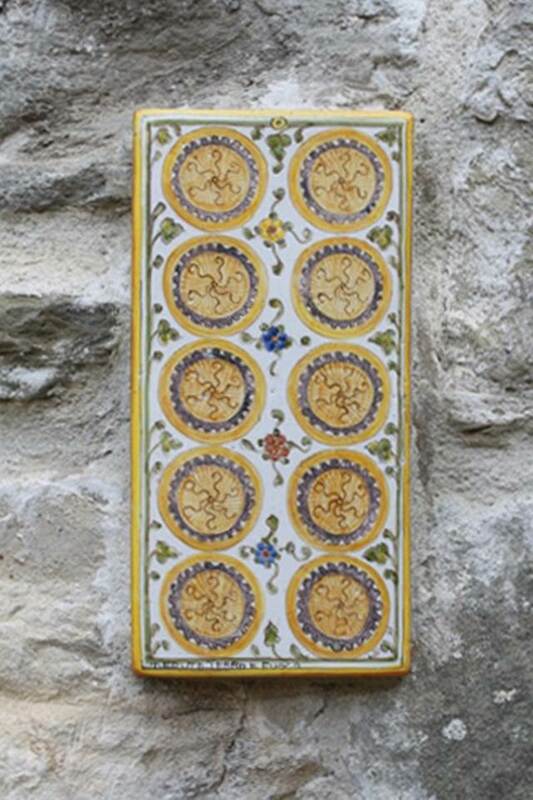 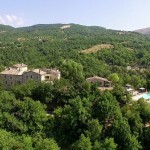 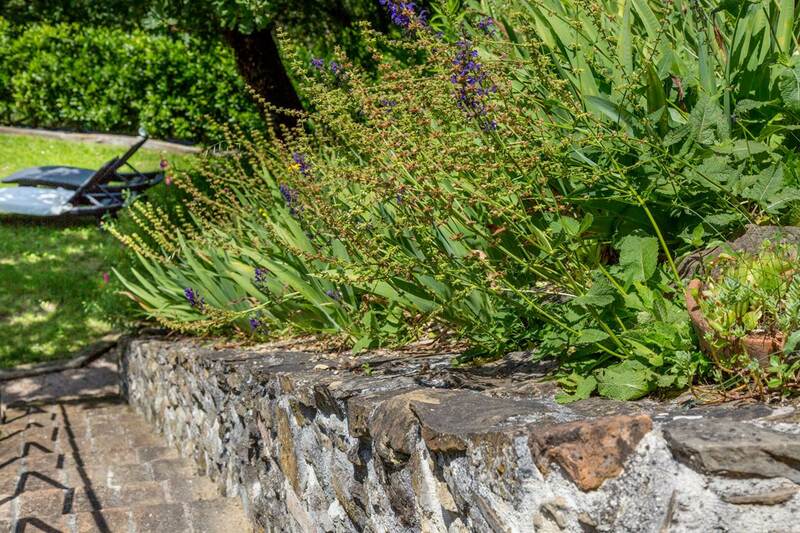 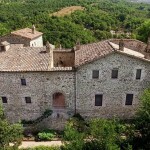 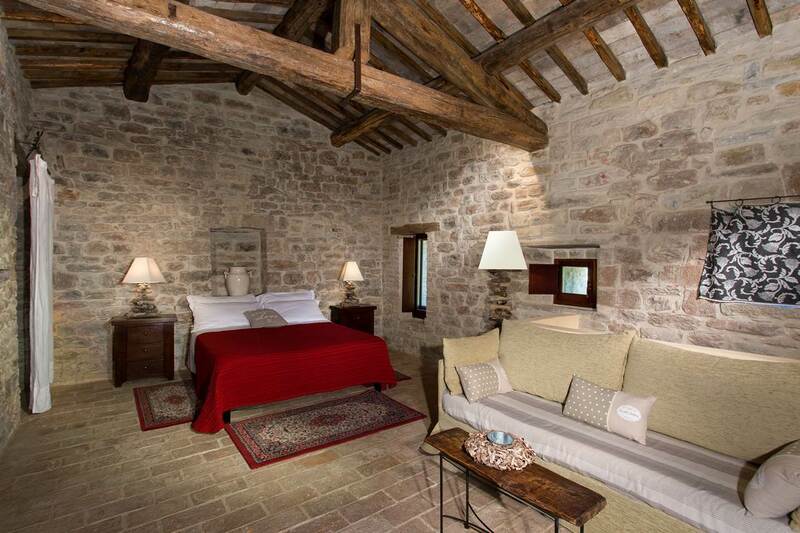 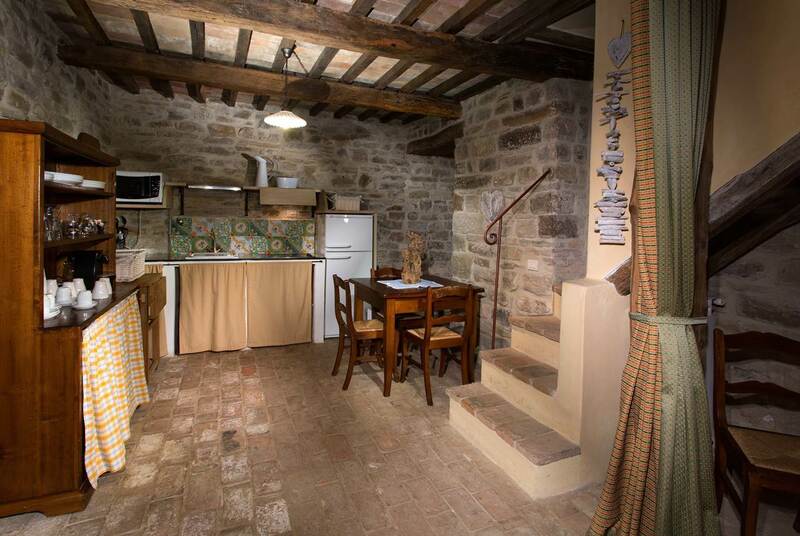 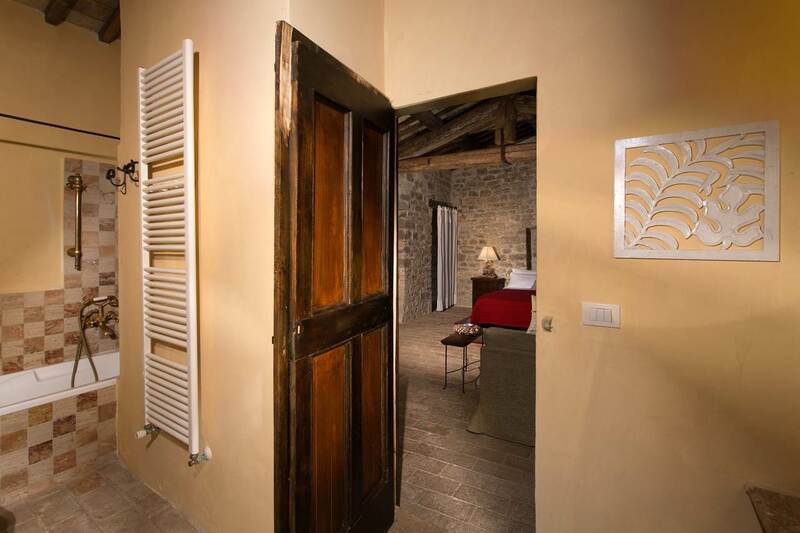 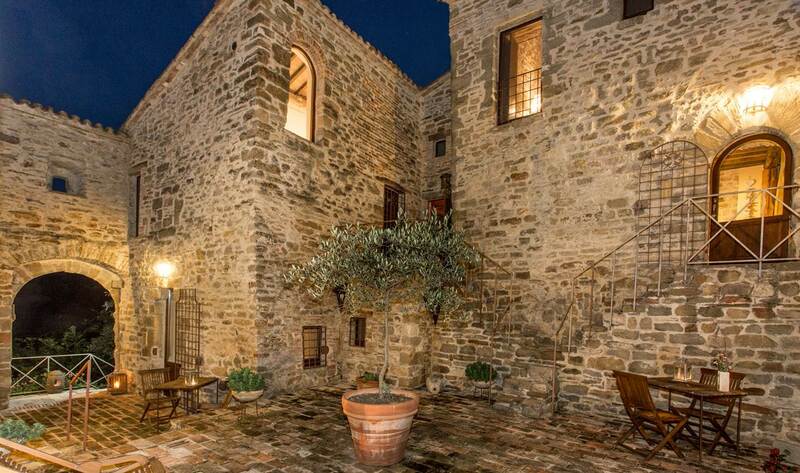 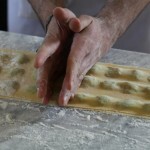 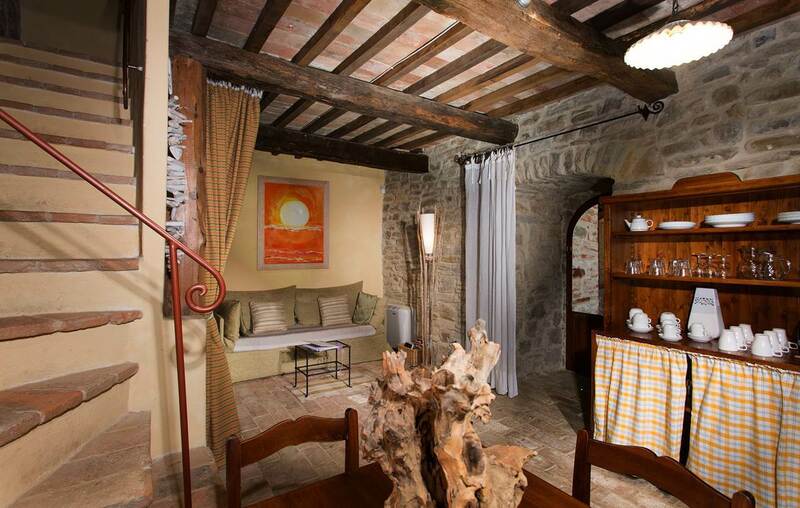 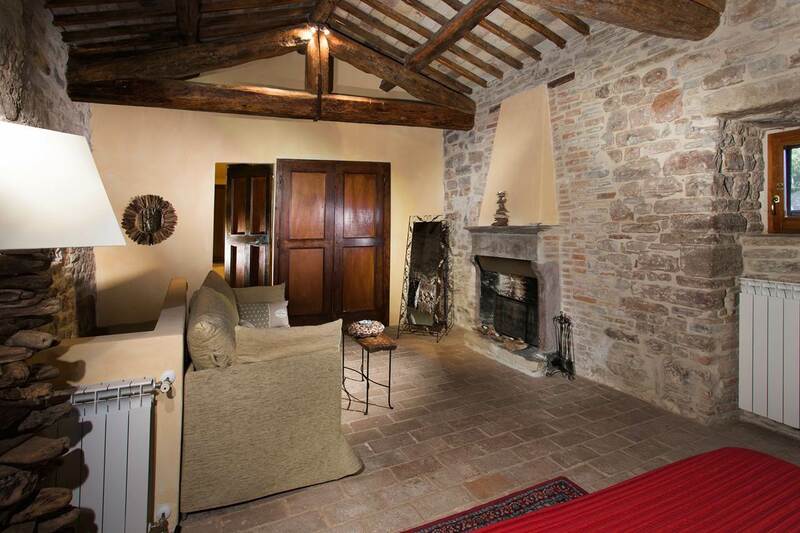 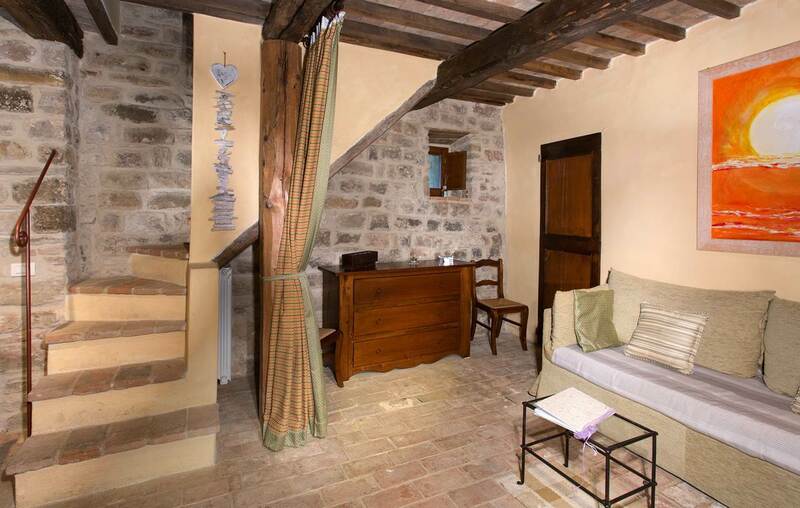 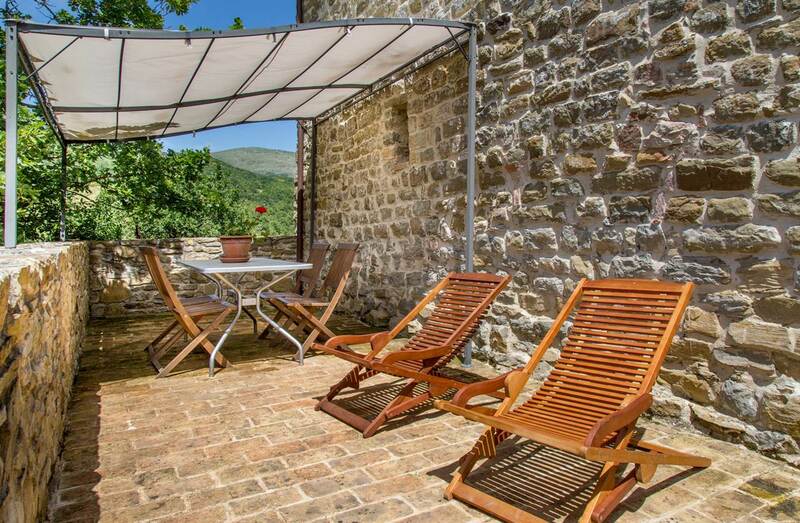 Relais L’Antico Convento offers… Seventh of luxury duplex apartment. 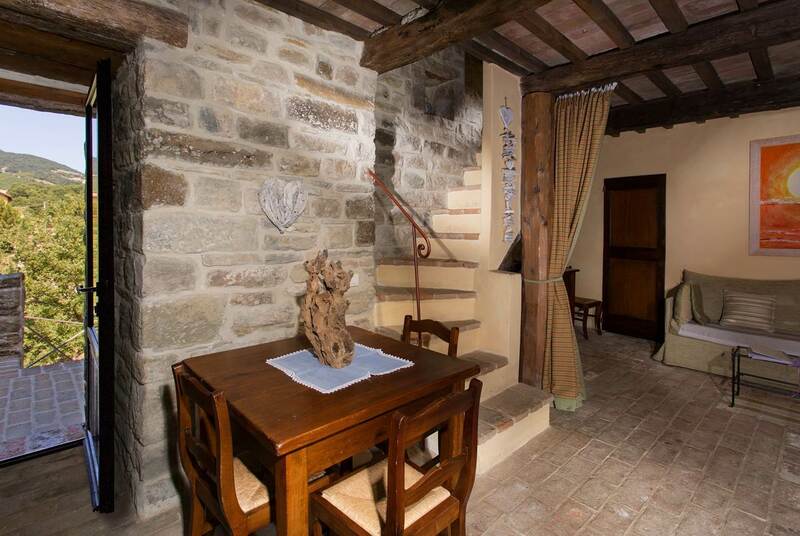 1st floor: living/dining area, one bathroom/ shower, curtained-off sleep area. 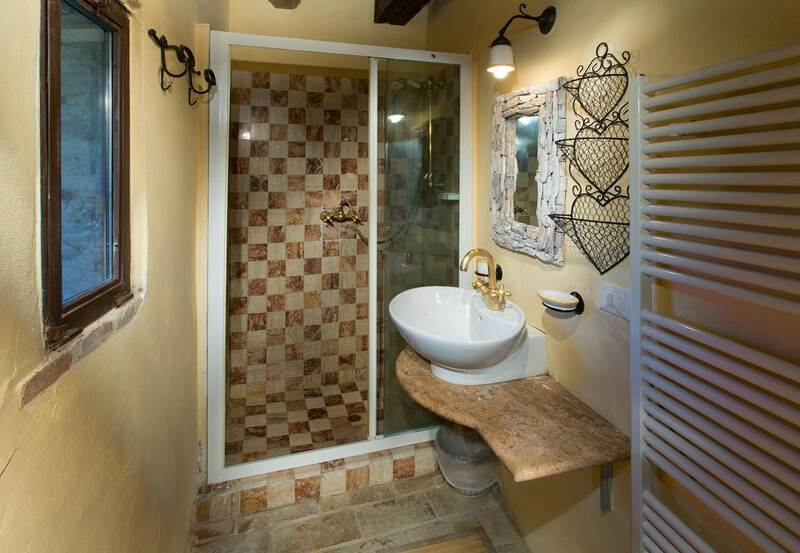 2nd floor: Master bedroom, en suite bathroom/bathtub/shower & double sinks. 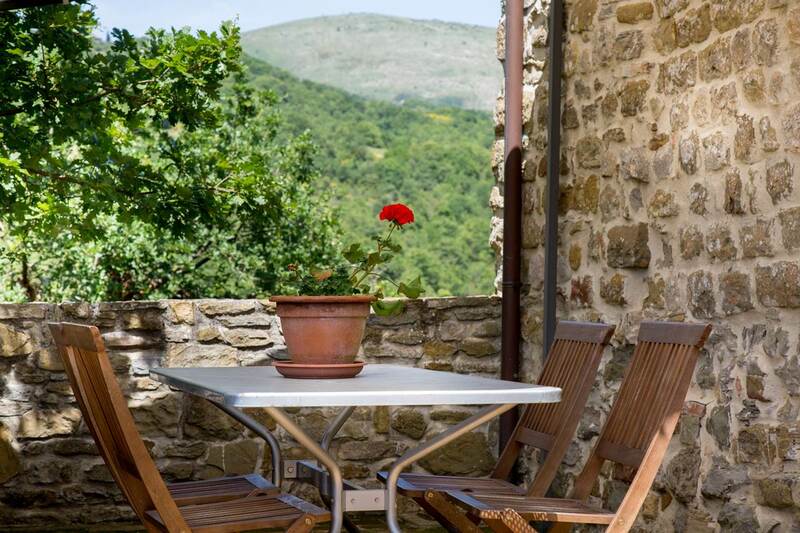 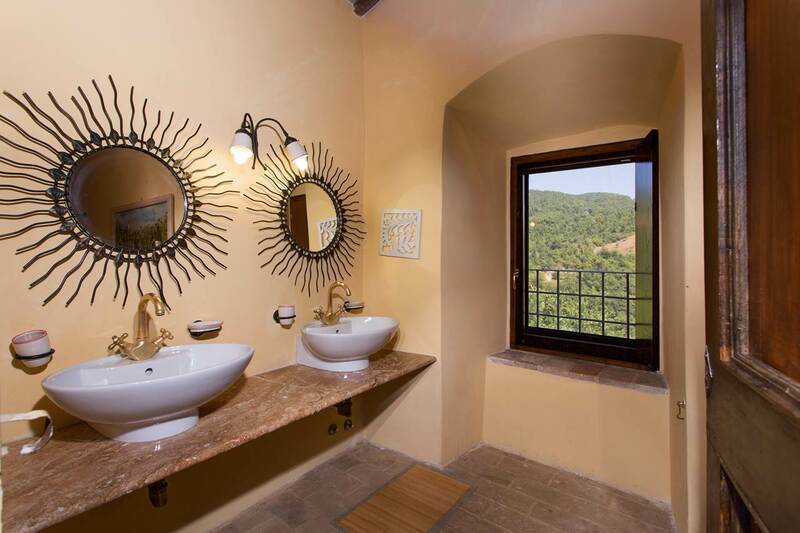 Private sunset terrace with stunning views of the Umbrian hills.